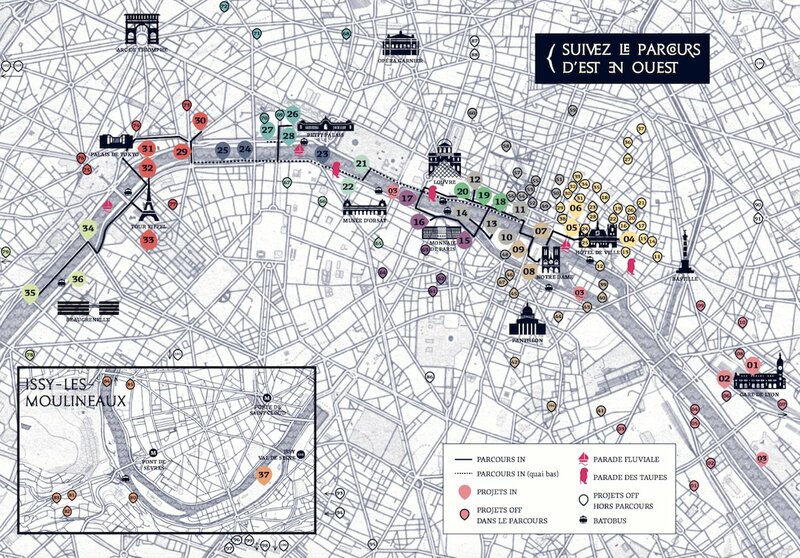 The Nuit Blanche (White Night in French) is a night long art event where different art installations are put up at important locations, museums and art galleries of Paris and they remain accessible throughout the night to the public for free. The concept of night time arts festival was introduced by Jean Blaise, a French artistic director in Nantes, and it came to Paris when he was invited by the then Mayor of Paris, Bertrand Delanoë to organize the first event in the city in 2002. The 15th edition was directed by Jean de Loisy, the curator of Palais de Tokyo of Paris. The theme for this year was based on a 15th century novel first published in Venice called “The dream of Poliphile” probably by Francesco Colonna. 40 major art installations and performances by various artists were set up across Paris to trace the journey of the protagonist Poliphile through his dream in search of love, Polia. Apart from the themed installations, more than 150 other art installations were also put up across the city. Some of major attractions were scattered around the Hotel de Ville of Paris and the Louvre. A major installation that we first came across for the night was that of the Dutch photographer Erwin Olaf and was projected on the façade of Hotel de Ville. It was a video developed by the artist which consists of faces portrayed on the arched windows of the town hall and figures stretching themselves on the lower windows of the façade. Here is the video of the installation. With respect to the theme of the Nuit Blanche, the installation represents the awakening of the dream of Poliphile. Under the Centenary Elm of Place Saint-Gervais, Poliphile fell asleep. A woman puts her finger to her lips, signaling to the world to be silent and let our protagonist dream. One after another, the Town Hall's windows are animated in slow motion. Faces awake and bodies stretch slowly. The many figures staged by Erwin Olaf on the facade reflects the many faces that the visitors will come across all night. Embedded in the facade, these figures end up being one with the architecture and appear gradually to be transformed into statues.